Libethenite ⓘ5 photos of Wavellite associated with Libethenite at this locality. Rashleighite ⓘ5 photos of Wavellite associated with Rashleighite at this locality. Turquoise ⓘ5 photos of Wavellite associated with Turquoise at this locality. Quartz ⓘ5 photos of Wavellite associated with Quartz at this locality. 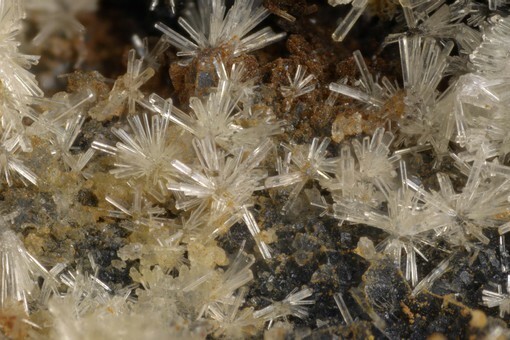 Chalcosiderite ⓘ4 photos of Wavellite associated with Chalcosiderite at this locality. 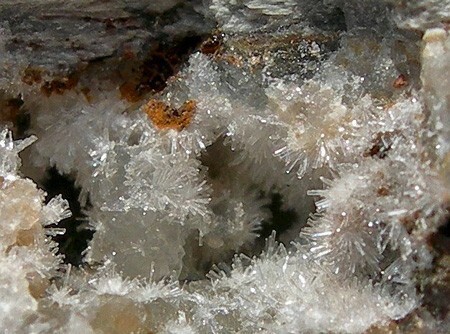 Pseudomalachite ⓘ2 photos of Wavellite associated with Pseudomalachite at this locality. 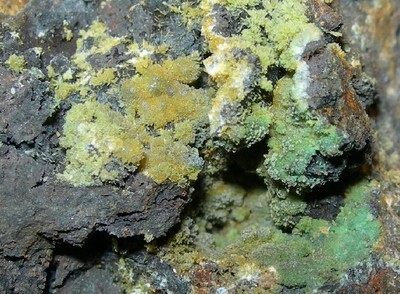 Malachite ⓘ1 photo of Wavellite associated with Malachite at this locality. Goethite ⓘ1 photo of Wavellite associated with Goethite at this locality. 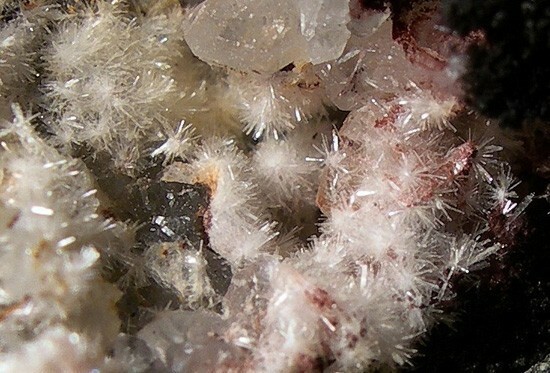 Gypsum ⓘ1 photo of Wavellite associated with Gypsum at this locality.